Through the Malta Next Generation Sequencing Project, researchers at the University of Malta are trying to understand what genetics tell us about the autism spectrum disorder. Here, DR STEPHANIE BEZZINA WETTINGER explains how. Autism spectrum disorder (ASD) is a neurodevelopmental condition that affects the social interaction, verbal abilities and behaviour of one in every 68 children in the USA alone. In Malta, statistics are not yet available, but ASD is not that uncommon. 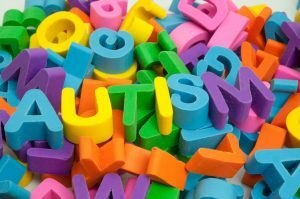 Now, as part of the Malta Next Generation Sequencing (NGS) Project, a team from the Applied Biomedical Science Department within the Faculty of Health Sciences at the University of Malta (UoM), is trying to unravel the genetic causes of a number of conditions – among which is ASD. What is particularly intriguing about the study is that Dr Bezzina Wettinger and her team’s plan is to recruit families with more than one affected individual. This, as she explains, is to be able to understand how genes play a role in these types of conditions. In exome sequencing, the parts of genes that are expressed are selected and sequenced on a specialised DNA sequencing instrument. Dr Bezzina Wettinger explains that the genetic code can be compared to a book. All this information will help Dr Bezzina Wettinger and her team evaluate if a genetic variant is likely to be causing the condition or not. Once a causal genetic variant is confirmed, that information would help doctors provide earlier diagnoses to patients, and would also be made available to scientific journals so that other researchers around the world could have access to it. “Major breakthroughs in science are rare. But we all find some little piece of the puzzle and then someone puts it together and gains major understanding, which can then serve to find treatments. This is why it is important to share scientific knowledge. Ultimately, this project, whose first phase was funded through the R&I Programme 2012, and is now partly funded by the RIDT as recipient of the call for Brain Research Projects in 2017, aims to improve researchers’ understanding of genetic conditions so that we can ameliorate people’s lives. 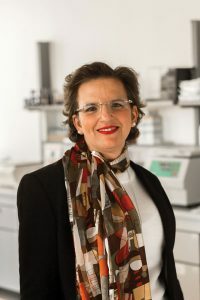 And, as Dr Bezzina Wettinger points out, with high throughput genetic analysis currently at the forefront of biomedical research, Malta, given the right amount of investment and funding, could have a role to play in making a difference to millions of people’s lives. “Finally, I can’t but not mention all the people working on this project: Ms Francesca Borg Carbott, Dr Ritienne Attard and Dr Rosienne Farrugia are the scientists on the project; Dr Chris Sciberras is applying his clinical expertise to the project; while Dr Karen Cassar has helped define the ethical framework of the project and is also involved in clinical logistics,” Dr Bezzina Wettinger concludes highlighting the importance of multidisciplinary teams in this type of research.